For Ray Harris, being a Bills fan is a family affair. Harris, originally from Western Canada and currently residing in Ontario, went to his first game with his wife in 1969 and has been a loyal fan ever since. Each home game, Harris or his children, make the commute to loyally cheer on their favorite NFL team. Around the time when the Bills moved to their current home in Orchard Park, Harris solidified his love of football and purchased season tickets, which he still has today, decades later. Going to games was more than just a chance to cheer on his all-time favorite player, QB Jim Kelly, who he has the utmost respect for. 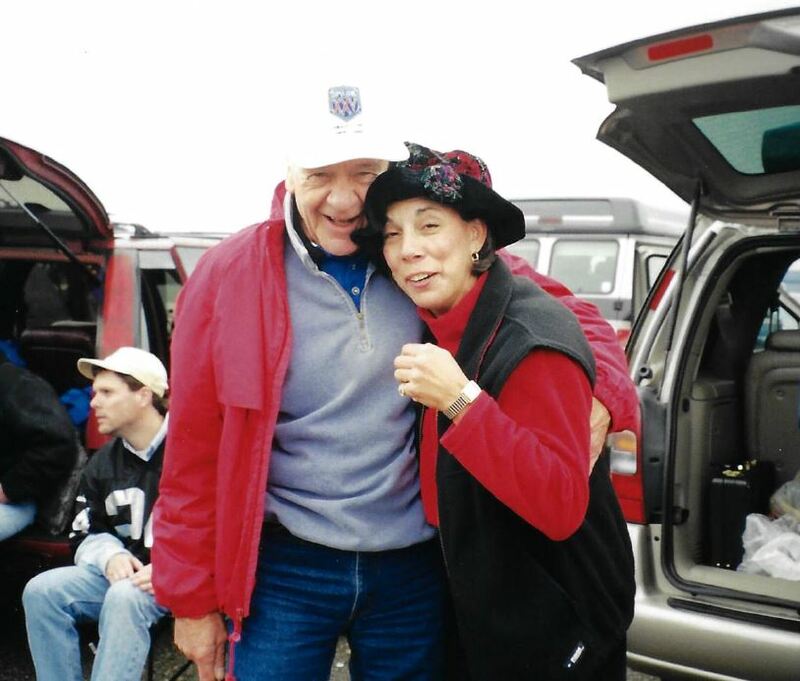 Game days were spent with his wife, family, and friends they made over the years through a common love of Bills football. Over the years, Harris has passed on his love of Buffalo Bills games to his children and grandchildren, who now frequent the games. Each season despite the long commute, Harris, his son Keith, his daughter, and grandchildren come together to loyally cheer on the team. While his favorite part of the game is watching the boys in blue and red play, Harris also enjoys the tailgate party. For the Harris’, the Bills experience is all about coming together as a family. A typical game day tailgate ritual for them is “grabbing something to eat, having a couple of beers, and watching the football team,” said Harris’s son, Keith. As a longtime Bills Season Ticket Member and loyal fan, Harris has enjoyed many perks that accompany season tickets. His favorite includes the Bills Bucks Cards, which his family uses at each game at the concession stands. The Buffalo Bills would like to thank Ray for his many years of being a dedicated Bills Season Ticket Member and our Season Ticket Member of the Month for the month of July. In addition to Ray being selected as a Season Ticket Member of the Month, he will receive two pregame on-field passes to a game during the 2017 season, a club seat upgrade, an autographed football, and select 2017 Bills merchandise.